Do you write letters you don’t intend to mail? I’ve heard it suggested over and over through the years as a way to process thoughts and feelings without the risk of involving others in our messy first drafts. I’ve never been very good at holding back. I tend to just go ahead and write or say what’s on my mind. I wear my heart on my sleeve, and my fountain pen scribbles away, pouring my heart onto paper. My internal struggle buzzes painfully on my fingertips until it’s been tapped out on the keys of a typewriter and freed from my mind. I’ve always been more afraid of letting things go unsaid than I fear saying things I can’t take back. What about you? 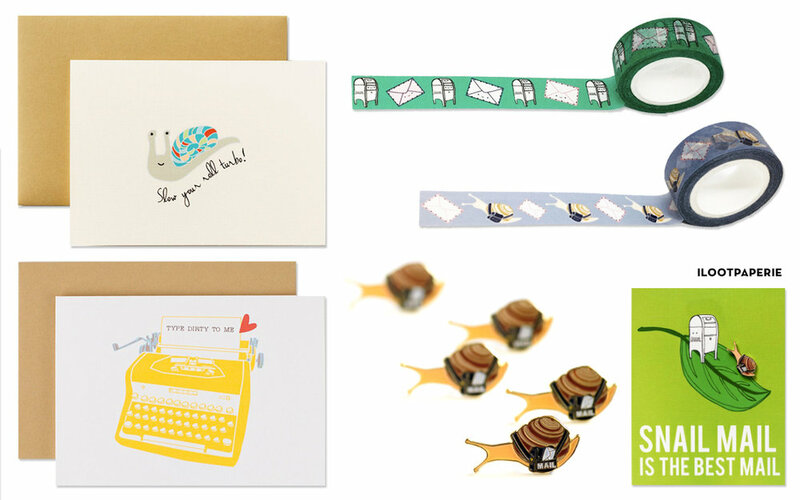 Do you share freely, or have a box of unsent letters? Maybe a little bit of both? This is the least serious song on my playlist, but it's probably my favorite. Have you heard this song? It's about POSTCARDS FILLED WITH CHIMPANZEES! I'm inspired. 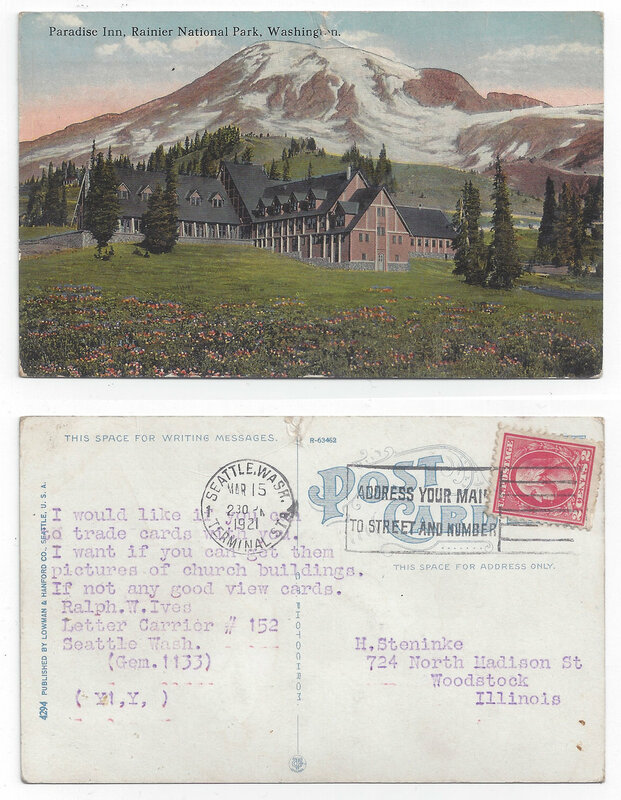 I know I already wrote a post about postcards, but that one was sweet and sentimental. 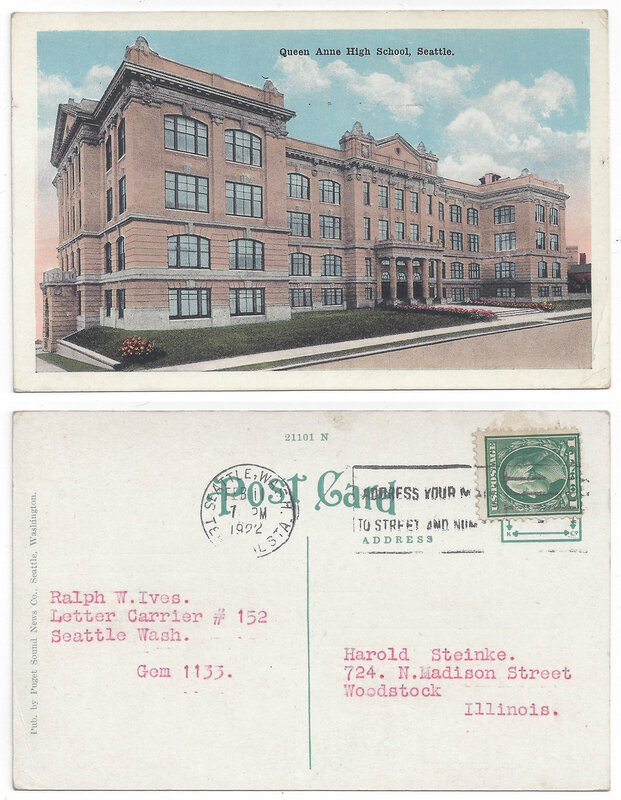 This post is all about how much fun you can have with your correspondence. Sending mail doesn't have to be a sentimentality fest. You can send ridiculous things in the mail. Like a coconut. Or a potato. Or a tacky tourist postcard. Or postcards filled with Chimpanzees. Sometimes all you want to accomplish with your correspondence is to make someone smile. Maybe don't troll someone incessantly with chimps. (But if you do, you have to tell me about it, pretty please?) But why not send a brief message of love or laughter or silliness? The stamps are cheaper, you are forced to brief, and you can have a lot of fun with it. Now stop wasting time reading this nonsense and go send some postcards. May I suggest our A-Z Nautical Flag postcards? I love this song. Like, "sing it at the top of my lungs with my eyes closed" kind of love. While it's about a letter on the surface, it dives much deeper into the magic and mystery of written communication. 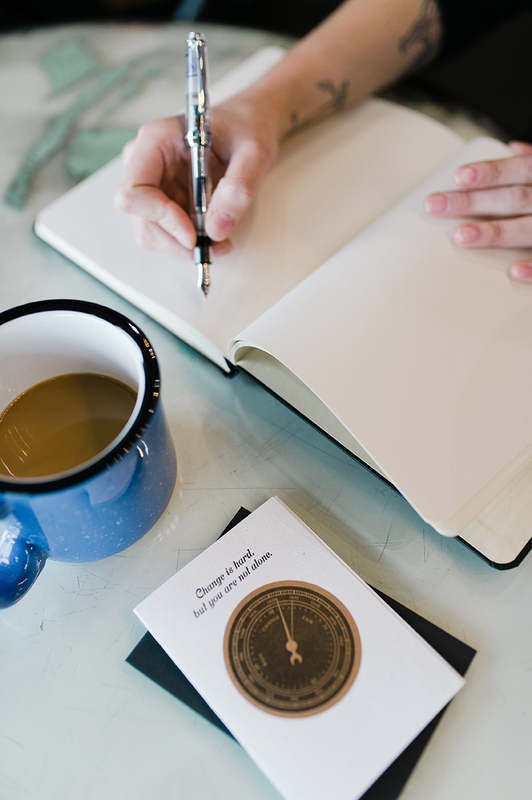 Writing a postcard can be the thing you do while you wait for your coffee to brew. Writing an inspired and heartfelt letter is the kind of thing you wake up from a dead sleep to do. It's the kind of thing that love or passion or disappointment or anxiety drives you to do. It's a fire within your chest that can't be extinguished until you've put pen to paper and said your peace. The letter this song begs you to read is a letter that might not be fun. It's a letter than might awaken new ideas or fears or doubts. It's the kind of letter that uncovers the secrets and the memories we cherish in the deep. There are some things that just don't belong in a text message or an e-mail. They're personal, heart to heart topics that require time and intention. Face to face suits these topics best, but that's not always possible. Or helpful. Or safe. 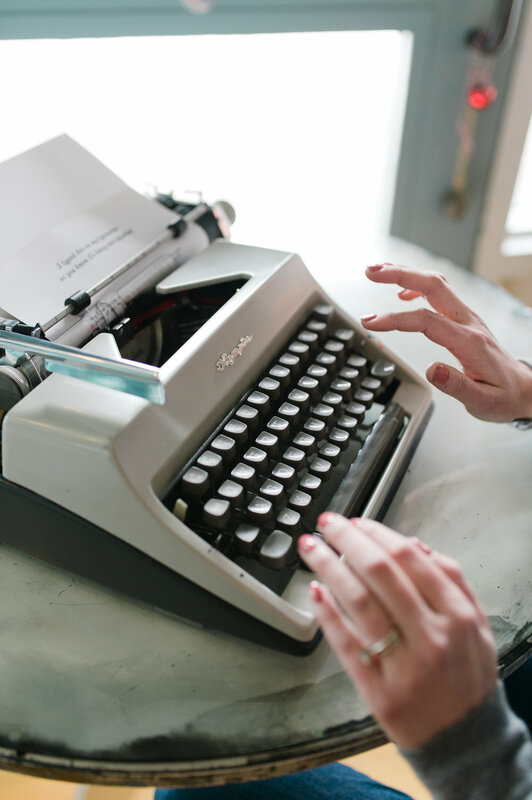 Writing letters gives us an option that is personal and intimate, but still at arm's length. There are things you might not find the courage to say in person, but a letter will do nicely. Lately, I write a lot of letters to myself. Moments that I can't bear to live in my own skin, so I scribble until the feeling passes. I can write the things my brain won't let me think. I can write the things I can't find the courage to say out loud. Lately I'd give just about all I have to receive a letter than promises: everything's gonna work out fine. I learned during my snail mail playlist endeavor that postcards are a very popular topic in songwriting. Everyone from James Blunt to First Aid Kit to The Who have written songs about sending and receiving postcards. This particular song by Meadowlark offers a few new ideas. Firstly, it's a breakup song. If you've gotta send an "I don't love you anymore" letter, I wouldn't usually suggest a postcard. The public nature of such correspondence makes that gesture a bit of a public announcement. (You'll really perk up your postman's day, though.) However, in this particular instance, the person sounds like a big giant jerk who probably deserves a petty postcard. I just want you to know it's nice being loved. This message distills down a lot of the complications and distractions of sending snail mail to its most important element. Correspondence is a reminder that we are loved and thought of. 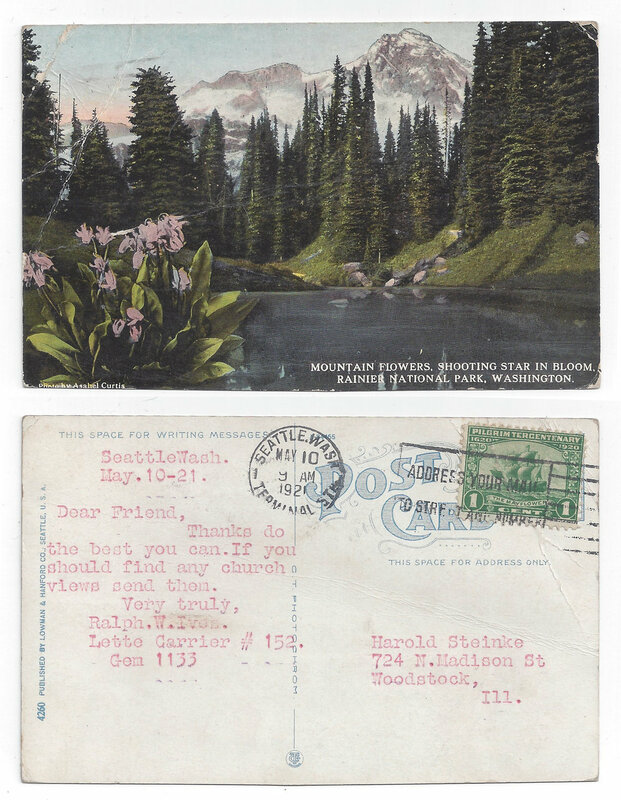 The writer of this song hasn't found love with the receiver of this postcard, but elsewhere. Regardless, the sentiment is significant. It's nice loving and sending that love out into the world. It's nice being loved, and receiving physical proof of that love, made of paper and ink. I have a box full of letters. I've had several over the years. They document many friendships, my family history, and my old relationships. 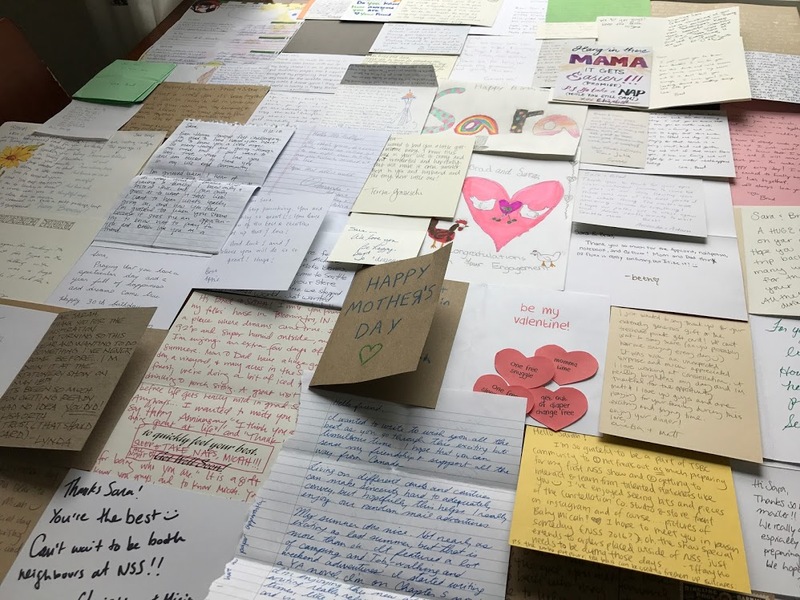 Some of the letters are beloved. Some of them are cringeworthy. They all document a different part of my life and the other lives that helped shape mine. I have letters from my Grandma Jean that mean the world to me now that she's gone. They weren't effusive or filled with wisdom for my adult life, but they show her particular love for me. I cherish them like I cherished her. I revisit letters from friendships and relationships that have ended, looking for clarity. Looking for "a lot of answers to...all these questions being directed at me." It's tempting to look to these relics of the past for evidence that I've grown. All of these things I've shared are reasons I think it's worthwhile to be a little sentimental and keep evidence of feelings and words exchanged in your own box of letters. But the part of this song that keeps me coming back for future listens is this: "I can't find the time, to write my mind, the way I want it to read." This may be the truest thing I've ever heard about sending mail. It's emotionally expensive to spend time gathering your thoughts to write and send words of love, encouragement, and support. We don't always know the right thing to say or how to say it - especially when someone you care about is going through a hard time. It can be nerve wracking to risk saying the wrong thing, and tempting to say nothing at all. I can't guarantee that your effort to send letters will always feel worth it. I can't promise that you'll never put your foot in your mouth, or that you won't feel rejected if they don't write back. There will never be enough time to write exactly the write words, in exactly the right way, at exactly the right time. In your struggle, don't forget that it's like this for all of us. Sending letters is an extension of our relationships, and relationships are tricky business. I'll always wish there were a few more words in my vocabulary and a few more hours in the day so I can make sure to "do it right." But like everything else in life, doing what you can is better than letting fear keep you from making an effort. "You'll come back again, and I'll still be your friend." I like making playlists. I have a playlist for soccer match days, a playlist for dance parties with my son, and a playlist for days I'm feeling blue and need to cheer up. Music helps get me hyped up for the task at hand. It's only fitting that I should have a playlist for writing letters and sending mail. With this in mind, I set off on a several days' rabbit hole of collecting songs about correspondence. There were a few classic snail mail songs I knew had to be on there - Please Mr. Postman, Signed Sealed Delivered, Return to Sender, etc. While doing some keyword searches on Spotify, I was reminded of many amazing tracks by artists I love that reference to sending mail. I also discovered a ton of great songs I'd never heard. I ended up choosing 54 of my favorite discoveries and sharing them on a Spotify playlist. You can listen to it here! It's been a popular soundtrack in my brick & mortar shop for the past few weeks. 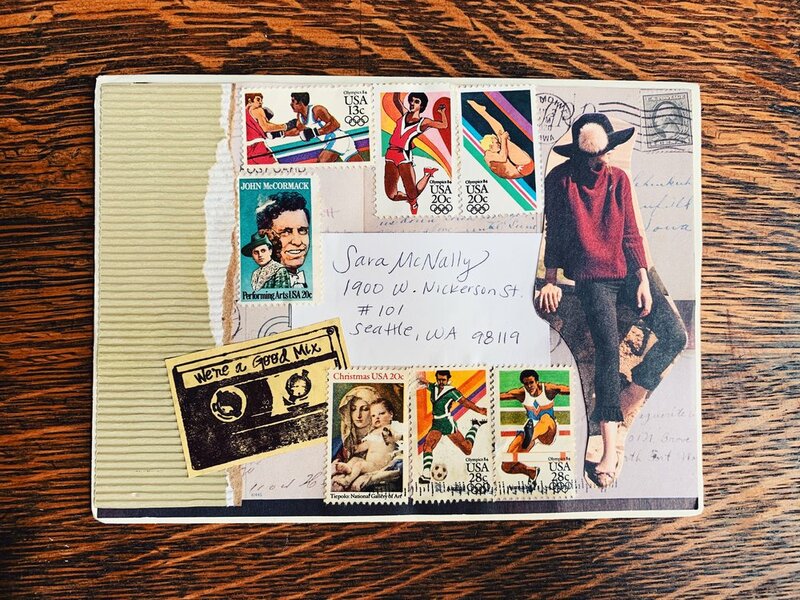 I'll be choosing a few of the most poignant songs and sharing them here with links, lyrics, and my thoughts on what they can teach us about being our best snail mail superstar selves. Stay tuned for those posts - I'll be sharing one per week in April. And if you have a favorite correspondence themed song that's not on my list, please comment and share it with me! I'd love to expand the playlist to include everyone's favorites. 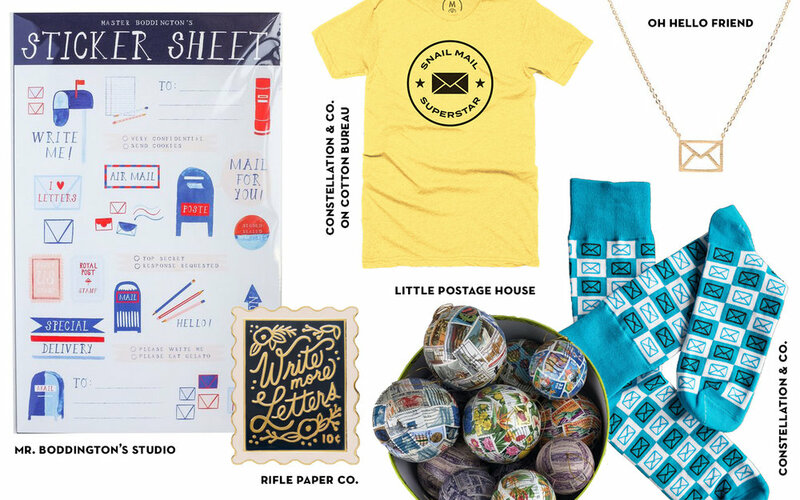 Snail Mail Themed Window Display! I like to celebrate each new season with a fresh window display at our brick & mortar shop. 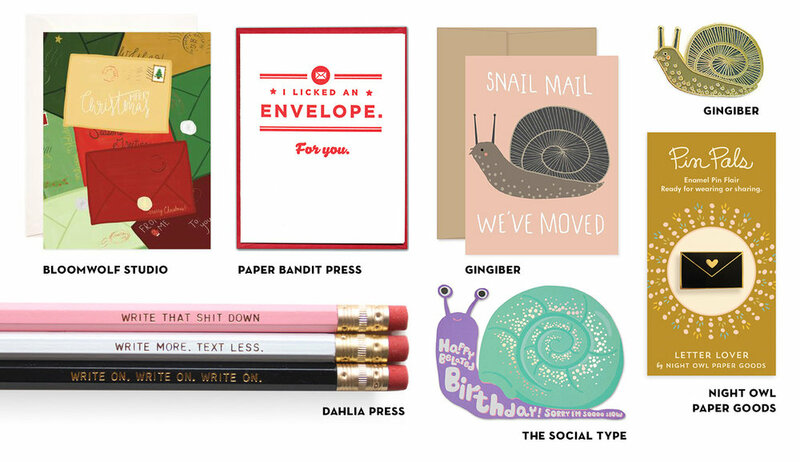 For National Card & Letter Writing Month, I went all in on the snail mail theme. I made an army of tiny papercraft envelopes, painted some watercolor mailboxes, did some big sketches with the Tombow dual brush markers we carry at the shop, and had a lot of fun pulling it all together. It makes the receiver feel special. It’s hard to say certain things in person. I’m really busy and can’t always hang out, but I always have time to send a little card. Writing by hand is soothing. It helps me articulate my feelings. It’s more personal than a text. I can include little gifts. It shows support in hard times. It supports artists and small businesses. It’s cheaper than shipping a box. Paper is fun and addictive. Using my fountain pen makes sending my correspondence feel really fancy. It’s retro in a good way.